A high-rise residence in San Francisco is partnering with online interior design company Decorist. 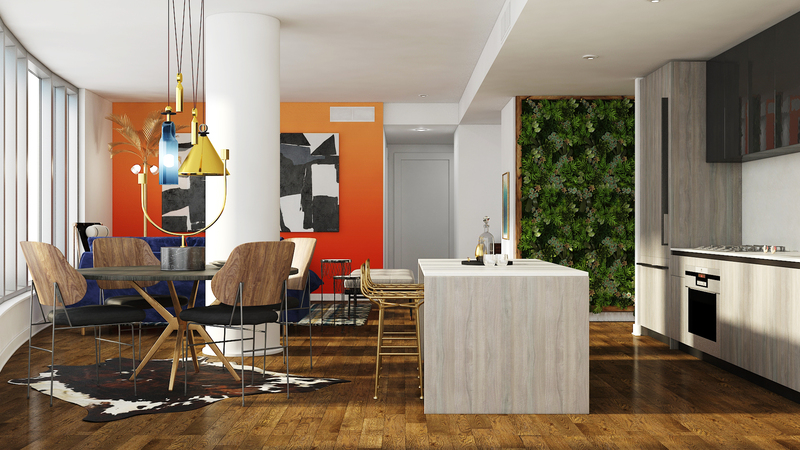 LUMINA, a Tishman Speyer condominium development, has enlisted Decorist designers Tamara Honey, Will Wick, Consort, and Martin Raffone to create designs for two of its three-bedroom floor plans. Revealed earlier this month, the designers’ three-dimensional renderings were created using Decorist’s 360-degree virtual reality feature.